Indicators| Weighing Indicators| Smart Indicators| ControllersZF Associates Co.
ZF offers a comprehensive range of functionalities, from basic weighing indicators for simple weight routines, to fully programmable systems for complete management control which match all industrial environment requirements like water proof, dusty, heavy-duty and hazardous area...etc. The R300 series of weighing indicators builds on over 15years of design experience to create a series of cost effective reliable products that are ideal for use in mobile applications such as forklifts, platforms, inside truck cabs and crane scales, OEM applications. 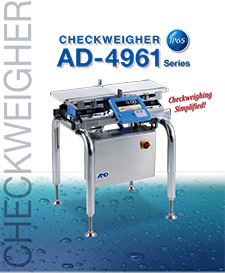 The R400 series of weighing indicators are designed with both the installer and operator in mind and cover a wide range of applications. The modular design allows for the installation to be commissioned with only the components required, saving on time and money. The X320 combines innovation in industrial design and engineering excellence to create a product that is ideal for use in heavy wash down applications and rugged environments – food processing, abattoirs, automotive and marine..
With 50,000 units sold globally the 5000 series of indicators represents mature proven technology. With an extensive range of interfaces and mounting options, installations can be readily customized, which represents savings for the user. Rinstrum has a range of accessories that are used across the product families, from a Profibus Module to summing boxes and load cell simulators.